Fuerteventura Biosphere Reserve has been awarded the Starlight certification for the quality of its skies and its commitment to protection. 31st July, 2015. 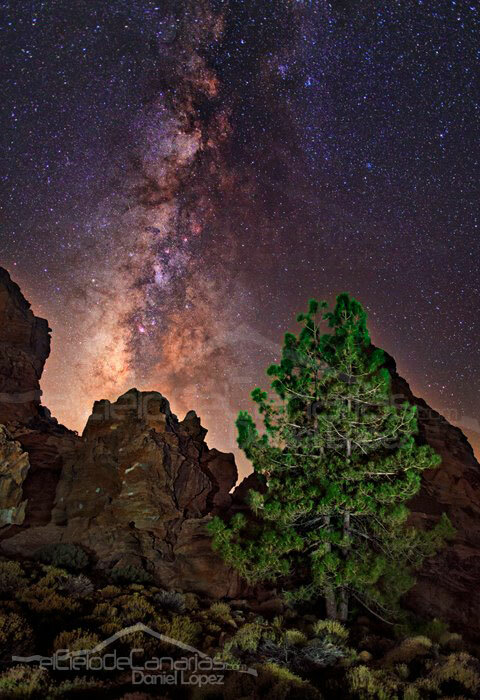 Fuerteventura has become, together with La Palma and Cumbres de Tenerife, one of the Starlight Reserves of the Canaries. This award, which adds to the Biosphere Reserve, means an acknowledgment for its defence of the skies and the different values associated to them – culture, landscapes and nature. It is the first certification granted to a Biosphere Reserve as a Starlight Reserve in the current International Year of Light declared by UNESCO. A Starlight Reserve is a site where there is a commitment to defend the night sky quality and the access to starlight. Its main function is to preserve the quality of the sky and the different values associated – whether cultural, scientific, astronomical, natural, or landscape related. Moreover, such Reserves are areas that, regardless of the guarantees that they may already have for their own conditions, add this specific protection to the defence of the sky, taking care of the associated resources – whether cultural, scientific, astronomical, natural or landscape related. The process to achieve this certification has been long and entailed a thorough study of the territory, on which an audit was carried out in order to verify that the quality standards have been accomplished, such as the measures established to avoid light pollution, the different activities developed in the surroundings, or the infrastructures existing in the area and their impact on the environment. The award event that granted the qualification as Starlight Reserve counted on the presence of several authorities, such as: the President of Cabildo de Fuerteventura, Marcial Morales, the Director of Instituto Astrofísico de Canarias, Rafael Rebolo; the General Secretary of UNESCO in the Canary Islands, Cipriano Marín; and the Director of Fuerteventura Biosphere Reserve, Antonio Gallardo, who highlighted that it is “a reward for the work carried out for years but also a commitment to make the island a different place that needs the cooperation of all citizens”. There are already seven Starlight Reserves worldwide holding this certification: three in the Canaries, two in Andalusia (Sierra Morena and Sierra Sur de Jaén); one in Catalonia (Montsec), one in Chile (Fray Jorge National Park) and two in Canada (Acadian Skies & Mi´kmaq Lands, New Scotland).